Nothing good can can come from publicizing every move in Derek Jeter’s contract negotiations. One of my close family friends put it beautifully in a comment yesterday. This should have all taken place behind closed doors, especially if the result is as we think it will be (a contract for Jeter). This kind of stupid negotiating just sullies the reputation of both the Yankees and Jeter. Sure, Jeter has had his non-baseball highlights. Most notably, he addressed the crowd following the final game at original (sort of) Yankee Stadium , and he did so again this past season when the Yankees honored George Steinbrenner and Bob Sheppard , after the two men died within two days of each other. In both instances, he was terrific. He was indeed a value add , as the kids say. But those were very specific situations. It's not like that's a marketable skill for Jeter. He can't go to the Red Sox and bring the video of those speeches. Nor can the Yankees think, "Well, OK, the next time we move or someone really important dies, we've got Jeter." Fans voted the Yankees’ expected offer of $120 million over five years to Cliff lee is too high. Just 27 percent thought that price was about right and 11 percent thought he is worth more than $120 million. Check out my three reasons this expected offer is too much for Lee, and also read why Lee doesn’t belong in pinstripes next year. New poll: Which free agent is most important to the Yankees’ success next year? Javier Vazquez reached an agreement on a one-year deal with the Florida Marlins today, according to Jon Paul Morosi. Because the Yankees offered him arbitration (knowing he wouldn’t accept it), the Yankees will get a draft pick in compensation. I’d say the Vazquez experiment failed for the Yankees. Wouldn’t you? Here is the Thanksgiving gift: The Yankees give Jeter a six-year, $75 million contract that breaks down as $20 million a year from 2011-13 and $5 million a year from 2014-16. The twist is that each $5 million year becomes a $20 million season if Jeter reaches 500 plate appearances in the previous campaign. I sort of liked Sherman’s idea until I read the twist. The Yankees Double-A team’s clubhouse manager Tom Kackley is holding his annual charity auction to benefit Domestic Violence Project. To help the great cause, place your bids on some cool pieces of Yankees memorabilia. The most expensive items include bats from Austin Jackson and Reggie Jackson, but you’ll also find stuff from Andy Pettitte, Jesus Montero, Austin Romine and many more. The auction expires next Wednesday, so hurry up and purchase a holiday gift to support Tom’s effort. On that note, I’d like to wish everyone reading a Happy Thanksgiving! It’s hard to put into words how much you, the readers, mean to me. You keep me going, and I’m thankful to have been writing here for almost two years now. I don’t expect a lot of Yankees news to break on the holiday, if any, so this will probably be it for the day. Enjoy your turkey, or for some of you, your tofu turkey! Just like last year, I bring you the results for my 2010 preseason predictions. Sadly, my average dropped from .289 to below the Mendoza Line. That’s 10-for-50, or .200 if you’re counting at home. I think next year I’m going to come up with a scoring guide so I can give myself more points for the hardest predictions. If I had to choose to give Derek Jeter, Mariano Rivera or Cliff Lee the deal they want, it would be Rivera (we don’t know what Andy Pettitte wants yet or even if he is going to return). Rivera would play the fewest number of innings among the three listed, but he’s still worth it because of all the headaches (and games) he saves. And I do not want a 40-year-old shortstop or an overrated starter in his late 30s making more than $20 million on the Yankees (4-6 years down the line). Right now, the Yankees don’t even have their top setup man from last year secured for next season (Kerry Wood). They didn’t even offer him arbitration. Can you imagine Joba Chamberlain as a closer in 2011? I could easily see him blowing eight saves for the Yankees. Rivera has blown eight saves in the last three years combined. Some followers on Twitter agreed with my pick. Keep in mind there are a few legitimate free agent closers available this offseason. Of course, none are in the same echelon as Rivera. Not on Twitter? Tell me who you would pick in the comments! Javier Vazquez was a bust in 2010; there’s no question about it. But he may not be worthless to the Yankees after all. The Yankees offered the Type B free agent arbitration yesterday knowing he would decline (gentlemen’s agreement). This compensates the Yankees with a supplemental draft pick between the first two rounds of the draft. Well that’s the best you could do, Javy. Ugh. The creative people at the New York Post would Photoshop Derek Jeter in a Red Sox uniform, wouldn’t they? Joe Posnanski says Jeter is not going anywhere. No team will match the Yankees’ offer of $15 million annually. That quote says it all. Cashman still hasn’t confirmed the reported three-year, $45 million offer to Jeter, and Jeter’s agent, Casey Close, hasn’t said anything since he told the Daily News he was “baffled” by the team’s negotiating strategy. I have no idea why he’s baffled. Does anybody understand the Yankees don’t have an unlimited payroll and Jeter isn’t the only player the Yankees are trying to sign this winter? Baseball is still a business, and if players ask for far more money than they are worth, why bother with them? This is even more true in Jeter’s case since there is likely no team willing to spend more than $15 million per year on the 36-year-old shortstop. The Yankees need to spend more money on Jeter than other teams need to because he is worth more to them than he is to other teams. To the Yankees, he’s the face of the franchise and some still consider him the face of baseball. To other teams, he’s just an old shortstop. Cashman has clearly taken this into account in his suspected offer. The sooner Close understands that the better. Lovely. Another contract disagreement between the Yankees and a Core Four member. 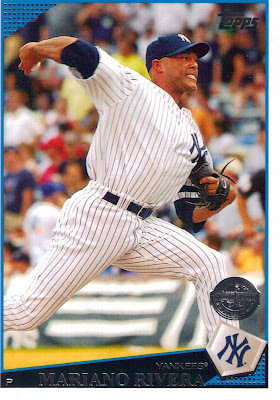 Source: #Yankees want to offer Mariano Rivera only a one-year deal. Rivera seeking two-year deal for around $18 million per season. Let’s review the Yankees’ major suspected offers this offseason shall we? A) 11/17: Yankees want Derek Jeter for thee years & $63M, but Jeter wants at least four years. B) 11/21: Yankees plan to offer Cliff Lee a five-year, $115-120M contract. C) Tonight, the Yankees want Rivera for one year, but he wants two years, $36M. If all three get what they want, that’s north of $60 million just to pay those three for next year. Add on Alex Rodriguez, CC Sabathia and Mark Teixeira, and you’re looking at close to $140 million for six players. That’s more than most teams’ total salaries. I agree with the Yankees’ side in samples ‘A’ and ‘C’ but not ‘B.’ I said last night the Yankees should pay Rivera what he asks for, but I wasn’t expecting a 41-year-old closer (due in seven days) to ask for more than Albert Pujols makes. I might give Mo $18M for one year, but definitely not for two. Either way, I’m disgusted with both Core Four members asking for ridiculous contracts, and I’m even more ticked off at the Yankees for planning to offer Lee the lucrative deal he wants. Even though the NL MVP was announced today (Joey Votto almost unanimously, if you didn’t hear), it was a pretty slow news day in Yankeeland. With the AL MVP set to be announced tomorrow, I’m posting this fitting video of Robinson Cano and Bo Jackson in a Nike commercial. Anyone think Cano has a shot to beat out Josh Hamilton or Miguel Cabrera for MVP? ESPN’s Wallace Matthews thinks so. The Boston Globe’s Nick Cafardo reported yesterday the “word is” the Yankees plan to offer Cliff Lee a five-year deal in the $115-120 million range ($23-24M per). My response: The Yankees are overpaying Lee if they sign him for more than $20 million at any length. Before I elaborate, here’s a quick dose of what my followers on Twitter had to say. Because my Twitter responses weren’t overwhelmingly one-sided, I’ve made it this week’s blog poll. Please chip in by voting on the left sidebar. He’ll likely be the highest paid free agent this offseason — certainly the highest paid pitcher. The next best starter available, according to MLBTR’s Tim Dierkes is Hiroki Kuroda. Because of the short supply, Lee can demand big money and will likely get it. If the Yankees do proceed with an offer in the $120 million range, no team is going to match that. His regular season ERA for the Rangers last year was 3.98 in 15 starts — and that’s not a product of the hitter-friendly Ballpark in Arlington. He’s won exactly one Cy Young Award with a career ERA of 3.85. Two-and-a-half regular great regular seasons makes you a top five paid pitcher in the game? He’s had some excellent starts in the postseason, but doesn’t have any ring to show for them. He didn’t make it through the fifth inning in Game 5 against the weak-hitting Giants this past World Series and took the loss in Game 7. He was also lucky to face A.J. Burnett in Game 5 of the ‘09 World Series, as he won despite allowing five earned. The Cleveland Indians sent him down to the minors in 2007 (just three years ago). He is 32 years old and his back is still an injury concern. Unfortunately, I think the Yankees will eventually agree to overpay him, probably close to what Cafardo reported (five years, $115-120 million). If it were up to me, I’d offer Lee four years at $18 million annually at the max. I doubt any other team besides the Yankees offers more than $20 million per year for Lee. Poll Results: Sterling the entertainer should stay! I was surprised by last week’s poll results. Sixty-five percent of voters voted WCBS-AM broadcaster John Sterling should not be replaced after his contract expires next offseason. The other 35 percent wanted Sterling out of the booth as soon as possible. Last week I wrote three posts on why Sterling shouldn’t be replaced. New poll: Would you pay Cliff Lee $120 million to pitch? Former Yankee Jim Leyritz was acquitted of DUI manslaughter today, but was convicted of DUI misdemeanor in a 2007 crash that killed a mother of two. Leyritz could have lost 15 years of his life behind bars, but will now serve a maximum of only six months. Enjoy your Saturday, folks. I’ll be driving back to my home in New Hampshire today and won’t be making any posts for the day. But stay tuned for more hot stove talks next week! The Yankees just announced their new pitching coach. It’s Larry Rothschild, the former pitching coach of the Marlins and Cubs and the first manager of the then-Devil Rays. YES Network tweets Rothschild signed a three-year deal. Ironically, Rothschild managed Dave Eiland while he coached for the Rays for two full years. Rothschild also coached Joe Girardi in 2002 when he caught 90 games for the Cubs. So what can Rothschild do for the Yankees? Well, his main task will be to fix A.J. Burnett. But that job may not be possible for just one human to tackle. More on Rothschild when information becomes available. Jon Heyman’s Twitter feed has the updates. First he reported the Yankees plan to offer Derek Jeter a three-year, $45 million offer. Then an hour later he tweeted Mariano Rivera “told friends” he wants a two-year deal from the Yankees. This was the first time Rivera has spoken up about his contract. But Heyman’s report on Jeter is contrary to Wallace Matthews’ report from Wednesday, which said the Yankees would “sign off” on a three-year, $63 million deal for Jeter if they could. I’ll trust the latest report. As for Rivera, I don’t think a two-year deal is unreasonable. I’d prefer a one-year deal with a club option, but he’s Mo. Give the man what he wants. The Yankees released Jonathan Albaladejo today. The Triple-A hero never had a great run with the Bronx Bombers. Anyone remember who the Yankees traded to get Albaladejo? It was Tyler Clippard, back in 2008, who just led all relievers in wins last year (11). OK, wins don’t mean a lot for relievers. But Clippard is coming off two great years for the Nationals and Albaladejo hasn’t even compared. Props to the Nationals; they traded him after his 1.88 ERA in 14-1/3 IP in 2007. Felix Hernandez’s combination of ERA, innings pitched and strikeouts (ranked first, first and second in the AL respectively) was more than enough to earn him his first Cy Young Award. That’s why he received 21 of the 28 first-place votes. CC Sabathia earned three of those votes, but wound up in third place behind David Price. I agreed with this order too. If anyone can make an argument for why Hernandez was not deserving of the Cy Young honors this year, be my guest. Do it in the comments and I will definitely have a response. Sayings like that are what make John Sterling great. The last one is my all-time favorite. What’s yours? Houston, we might have a problem. Derek Jeter has finally taken a stance in contract negotiations, saying he wants a four-year deal at the minimum, preferably five or even six, according to a source of ESPN’s Wallace Matthews. The source said the Yankees would have already closed a deal with Jeter if he would have accepted a three-year, $63 million deal. Wow. 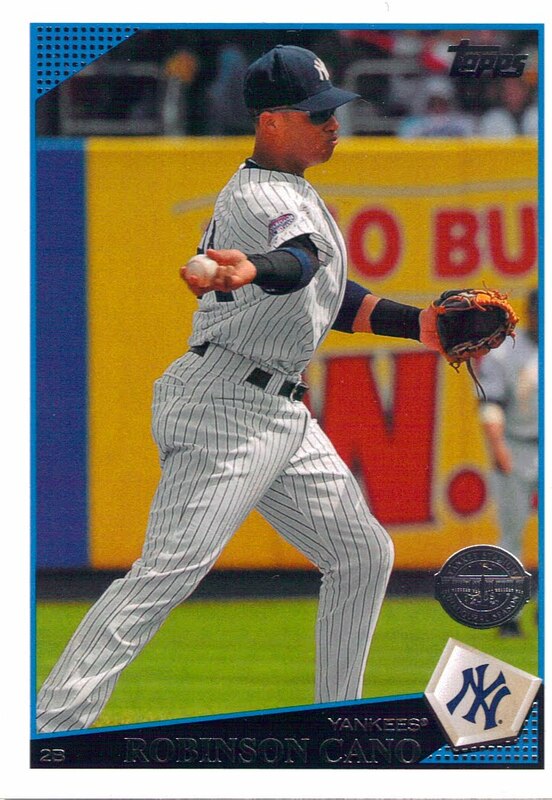 I’m shocked by Jeter’s stance. He’s 36 years old, people are already questioning his range as a shortstop, and he wants at least four years guaranteed? So much for my idea of early retirement. So now it all boils down to this: Can the Yankees live without Jeter, or can Jeter live without the Yankees? I say Jeter’s in the driver’s seat. If the Yankees don’t budge and Jeter goes to another team, Yankees fans will never forgive the front office. But if he wants four years, it better be a front-stacked contract (something like $22M, $20M, $18M, $16M). I’d love to hear your responses on this one. I’m stunned. “I think Ivan Nova has a good chance to be in our rotation, regardless,” Brian Cashman said. He meant regardless of whether the Yankees sign Lee or convince Pettitte to return for one more season. “I don't care if they’re inexperienced or not, they'll make your problems go away real quick," Cashman said. Woah. I think now is a good time for my first projected Yankees rotation of the offseason. I’m assuming everyone noticed there’s no Cliff Lee listed in that rotation. Even though Jon Heyman thinks the only sure thing about this offseason is that the Yankees will sign Lee, I’m trusting Cashman (like I said this morning). If Pettitte decides to call it quits, then there would be a slot open for Lee. I highly doubt this. This isn’t the first time he’s debated retirement in the offseason. Or the second. The fact is: he’s 38 years old with plenty of juice left in the tank. John Sterling’s home run calls are priceless. Cheesy, but priceless. It’s only when he says, “That ball is high, it is far, it is … caught!” I don’t like Sterling. But because his other calls are entertaining, I just can’t help but laugh when he incorrectly predicts a home run. What’s your favorite Sterling home run call? The Yankees expressed interest in left-handed reliever Pedro Feliciano and outfielder Justin Upton today. I know the Yankees won’t have Damaso Marte back from surgery until the second half at the earliest, but I don’t think the Yankees need to invest in a free agent lefty. I trust Boone Logan and whoever the farm has in store. As for Upton, I don’t see him fitting at all. The Yankees already have three outfielders and are possibly pursuing a fourth in Carl Crawford. Upton is 23 years old and would have too high an asking price. Yeah, this is my strongest argument. The latest poll results weren’t very surprising, as a strong 85 percent of the voters said the Yankees will sign Cliff Lee. Twelve percent of voters voted they’ll sign Carl Crawford, and another 12 percent said they’ll sign nobody. For those who don’t know my opinion on Lee, I think the Yankees shouldn’t sign him because it certifies their awful reputation in baseball. “If you can’t beat him, buy him” is an awful strategy to be known for, which is exactly what every Yankees fan will hear from opposing fans the moment Lee inks his $100-plus million contract. Many of you already know I have a new poll up, and it’s about the one and only John Sterling. Please vote on the left sidebar, whether you’d like him replaced or not. Thanks! Some great research from by Beyond the Box Score revealed the Yankees and Red Sox pitchers take the longest time between each pitch (22.8 seconds for Yankees, 23.3 for Red Sox). Check out the post and enjoy your Saturday. Brian Cashman addressed the media last night and discussed the catching debate for 2011. He confirmed my prediction that he would be hesitant to hand uber prospect Jesus Montero the starting catcher job (because he has no major league experience). Cashman said Austin Romine, Francisco Cevelli and possibly a catcher on the market will compete with Montero in spring training for the job. I added my emphasis below. LoHud suggests the Yankees may vie for a catcher cheaper than John Buck, a name I suggested in my last post on the Yankees’ catching situation. Take your pick of Type B’s or below, I guess. Keep in mind Cashman could certainly trade for a catcher too. No surprise here; Robinson Cano won his second AL Silver Slugger Award earlier tonight. Cano had a .914 OPS and his nearest competitor was Howie Kendrick at .721. He already picked up his first Gold Glove Award Tuesday, but he’ll have to wait until Nov. 23rd to see if he completes the trifecta with an MVP Award. Josh Hamilton and Miguel Cabrera had better years offensively, but Cano’s defense and his key role for a playoff team may persuade some writers for at least a few first-place votes. Should the success of the candidate’s team affect the MVP vote? UZR/150 is an "advanced" defensive metric to help determine a player's range. It is not a stat you can use to compare all defensive players in a year and simply say, "the player with the best UZR/150 is the best defender in the league." If that were the case, Brett Gardner would have been the best defender in the majors last year by a wide margin. As Moshe Mandel of The Yankee U outlined in his post yesterday, we have no tell-all defensive metric like OPS or ERA for batting and pitching (some prefer wOBA and FIP for measuring those too). We have to look at all defensive numbers collectively and factor in what MLB scouts have to say. UZR/150 is nowhere near as accurate for measuring defensive ability as the best offensive and pitching stats rate hitters and pitchers. Don’t believe me? Let’s play “Who’s Line is it Anyway?” baseball style. The Yankees had three Gold Glove winners this year. Two of whom most people agreed with (Mark Teixeira and Robinson Cano), but one has taken over the talk of sports media for the past 48 hours (Derek Jeter). So I’m supposed to trust UZR/150 for one middle infielder but not another? I’m not saying Jeter deserved to win the Gold Glove, I’m just advocating that UZR/150 should never be used by itself to rate players defensively in a one-year span or less. Posada told he’ll DH. Who’s your catcher? My guess is the Opening Day starter won’t be Jesus Montero. Why do I say that? Because there’s only been one player with no major league experience to start in the field for the Yankees on Opening Day in the Derek Jeter era. I’ll give you a second to think. OK, here’s a hint: his first name rhymes with Reid Gorecki’s last name. Hideki Matsui. And he had nine years of Japanese baseball under his belt. The five homegrown starters in last year’s Opening Day lineup were Derek Jeter, Nick Johnson, Robinson Cano, Jorge Posada and Brett Gardner. All of whom debuted midseason after they were groomed into their respective positions by veterans (Tony Fernandez, Tino Martinez, Tony Womack, Joe Girardi and Johnny Damon, respectively). I expect nothing different from the Yankees with how they handle the beast named Montero. If Posada is now just an emergency catcher at best, I expect the Yankees to pick up a cheap free agent catcher like John Buck (mentioned by LoHud). Here’s this year’s entire free agent list to browse for catchers, but the Yankees could also look for trade options. Brian Cashman is flying to Arkansas to meet with Cliff Lee. Pure speculation on my part: if the Cashman and Lee hit it off they could reach an agreement. Here are my views on signing Lee. River Ave. Blues makes a valid point about the visit, reminding us CC Sabathia only reached an agreement with the Yankees two years ago after Cashman visited him in his home in Vallejo, Calif. He won a Gold Glove yesterday, he’s my FYCOTW, and he’ll almost certainly win a Silver Slugger at second base tomorrow. Robinson Cano is sitting on his couch somewhere in pure bliss. Now fans can officially say the Yankees infield was golden this year. Well, that’s if you trust the voters (managers and GMs). Mark Teixeira (4), Robinson Cano (1) and Derek Jeter (5) picked up Gold Gloves today. Evan Longoria beat out Alex Rodriguez for the GG at third base, but I don’t think A-Rod was close to winning the award. There are no words. It's as if Joe Morgan left a giant turd on the carpet on his way out the door. The comments are even worse. So what do you think, are the Gold Glove awards just a popularity contest? Now the question is: Who will succeed the dynamic M&M duo? Jorge Posada told the NY Daily News he is preparing for the starting catcher job in 2011. He can prepare all he wants, but sooner or later he is going to have to face the facts; he’s 39 years old and it’s time to pass the torch to a Mr. Jesus Montero. However, I think he’s right to call out the Yankees for not telling him their plans. This wouldn’t have to be a PSA, but I think a meeting behind closed doors would benefit Posada. If the Yankees aren’t going to tell him ahead of time, I’d have to assume they are still considering him for the job. Surprise, surprise. The Yankees are going after the most coveted free agent pitcher this offseason on Day 1 of official negotiations. It’s Cliff Lee. He’s widely considered to be one of the top 5 pitchers in baseball. Why wouldn’t the Yankees pursue him — especially with Andy Pettitte questionable to return? Here’s my beef. Lee dominated the Yankees in a pivotal ALCS Game 3 this past year. If the Yankees signed him, they’d be following the strategy of, “if you can’t beat him, buy him.” Honestly, if a Red Sox fan said that to me, I’d be speechless. Don’t get me wrong; I’d love to have Lee reunite with CC Sabathia. Talk about a 1-2 punch. But would it be worth all the scrutiny? The fans have spoken. In my latest poll, the majority of voters said the Yankees should not invest in a full-time DH. This allows Joe Girardi to rotate veterans like Jorge Posada through the DH spot, giving them half-days off instead of full. After one source for the Yankees revealed Jesus Montero is ready to start for the Yankees in 2011, I had to side with the majority. This picture was taken at the Louisville Slugger Museum & Factory last weekend. It was the first time I had picked up a bat since last summer. Thank you, Jamie Hill, for capturing the moment! The consensus among the Yankees' high command is that Jesus Montero who turns 21 on Nov. 28 - is ready to assume the starting catcher's job, according to a source with knowledge of the team's thinking. Woah. I wasn’t expecting this. A lot of this decision must have to do with the Yankees’ faith in Jorge Posada. Posada is 39 years old and his caught stealing percentage was the worst of his career in 2010, throwing out just 15 percent of base runners. It was also one of the worst offensive seasons of his career. Montero has a full year of catching at the Triple-A level under his belt now, catching 105 out of 123 games in 2010. The other 18 games were all at DH. He heated up in the second half, but his overall numbers still weren’t extremely impressive for a No. 1 prospect: .289 BA/.353 OBP/.517 SLG with 21 homers and 75 RBIs. He caught 23 percent of base runners, better than Posada, but did allow 15 passed balls. Do you think Montero is ready to start for the Yankees? According to a source, the Yankees aren't planning to make a hard charge for Carl Crawford or Jayson Werth, the top two offensive free agents available this winter. The source reasoned Crawford or Werth wouldn’t fit in the Yankees outfield with Brett Gardner, Nick Swisher and Curtis Granderson all expected back. That sounds like a sensible reason to me. The current outfield is relatively inexpensive for a talented trio, and a slight talent upgrade wouldn’t be worth the huge price increase. Some of you may be disappointed — don’t lose all hope, it’s just one anonymous source — but I do agree with this source and hope he or she is right about the Yankees’ plans. As I posted Tuesday, the Giants proved last year pitching wins championships. If Cliff Lee is available, make him the priority. I’m pretty happy with the Yankees so far this offseason. I like to check in on Yankees prospects during the season from time to time, but the offseason gives me a chance to analyze them more closely. Arodys Vizcaino was traded to the Braves in the Javier Vazquez deal … Zach McAllister went to the Indians in the Austin Kearns deal … J.R. Murphy had a rough year in mid-A ball … Jeremy Bleich underperformed in AAA. Dellin Betances made a name for himself, again, last year in high-A and AA … Hector Noesi shined in AA last year and earned a promotion to AAA … Eduardo Nunez had a brief stint in the majors last year, showing he could hit, run and field … Brandon Laird showed great power numbers for AA and earned a promotion to AAA. This news should brighten your day. One year ago today, Hideki Matsui’s six RBIs helped the Yankees beat the Phillies 7-3 to clinch their 27th World Series title. It was a wonderful night. What was your reaction? I was speechless. I didn’t get up from my couch for 10 minutes after Robinson Cano threw out Shane Victorino at first base. The Star-Ledger’s World Series video clip. NY Times 12,000 pictures time-lapse video. Photo of my bedroom wall. Photos of the World Series rings. Those links should keep you busy for a while. 71 percent of SportsNation viewers think that Derek Jeter is a must-sign player for the Yankees this offseason. No. Not even close. Jeter is far more valuable to the Yankees than he is to any other team. The Yankees may be grooming replacement options already, but Jeter is still extremely likely to be the Yankees’ starting shortstop for 2011. What team is going to outbid the Yankees for Jeter? El Capitano. Mr. November. Derek Jeter. Drafted by the Yankees in 1992: five World Series championships, seven pennants, 14 postseasons, Rookie of the Year and All-Star Game MVP. It turns out the quote was taken slightly out of context and Hal Steinbrenner is still very confident he will re-sign Jeter. I’ve always said to keep the retirement option in the back of your mind just because of who Jeter is. He’s never been one to go after personal records, and how many more rings does he need? But he’s given no indications of retiring. In contract negotiations, I would think Jeter would be one of the easier men to deal with, but I really don’t know at this stage in his career. I hope he’s back, obviously, but I can’t say he deserves $20 million annually, especially if he drops down considerably in the order. Who is Melky Mesa and why is he on the Yankees’ 40-man roster? The Yankees added Melky Mesa to the 40-man roster. But why? Chad Gaudin and Royce Ring were both outrighted to Scranton/Wilkes-Barre, removing them from the 40-man roster. Gaudin immediately elected free agency. Filling one of those spots is toolsy outfielder Melky Mesa. Mesa would have been eligible for free agency had he not been added to the 40-man, hence this move being made immediately before other players are protected from the Rule 5. OK. Now who is this Mesa guy? Well, he’s a 23-year-old outfielder in the low minor league levels of the Yankees organization. He’s a career .236 hitter, but he’s coming off his best year to date with the Tampa Yankees. Here are his career minor league statistics (all from the Gulf Coast League and three levels of A-ball). The trend isn’t too hard to spot. Between the two World Series teams and the Yankees, the champion had the best pitching and the worst hitting statistics. I expect the Yankees to make at least one big splash on the free agent market this offseason. I’m hoping Cashman will fish the pitching market, rather than the hitting market. One week after letting go of pitching coach Dave Eiland and then re-signing manager Joe Girardi, the Yankees have agreed to re-sign Kevin Long to a three-year deal, according to the New York Post. The Post reported Long will receive a raise from his previous deal, which earned him $400K annually. The Post also reported bullpen coach Mike Harkey is a “strong candidate” to replace Eiland as pitching coach. Nothing here is official, but assuming it’s true, I of course am not complaining. Several Yankees raved about Long the past few years. And I can’t say I’ve heard the same about Eiland. The Yankees last week declined 2011 options on Lance Berkman, Kerry Wood and Nick Johnson. It’s almost certain Johnson won’t be back in pinstripes next year, but I believe Berkman and Wood fit right into next year’s puzzle. Just to clarify, the Yanks declined their options because of their overpriced contracts. Berkman's option was for $15 million, Wood's for $11 million and Johnson's for $5.5 million. Although Berkman is bound for Houston again, I think Berkman at a discount would fit nicely with the Yankees in 2011. He’s definitely in line for a serious pay cut, as his six-year, $85 million deal just expired and his numbers are in great decline. Unfortunately, it’s a “two-way street,” as my pal said. Berkman probably wants to go back home to Houston. Perhaps Andy Pettitte’s decision to return or not will impact Berkman’s. We’ll see how this all plays out, but I think the best-case scenario is he’s back in pinstripes on a one-year, $5 million deal with a club option. Do I really have to explain? He allowed two earned in 26 innings for the Yankees in the second half. He earned a new contract. As far as I’m concerned, he’s first in line to take Mariano Rivera’s place if the unthinkable happens (or if he gets injured). 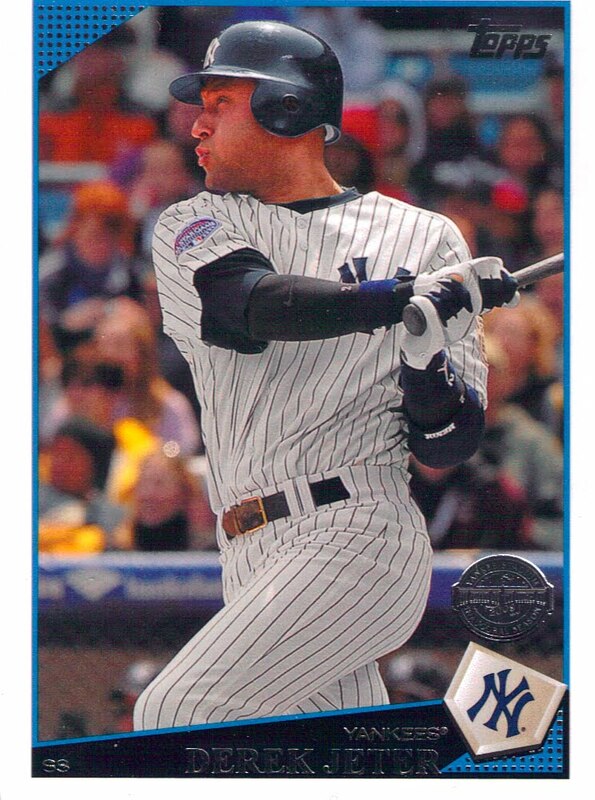 The majority of voters in my latest poll said Robinson Cano should hit third in 2011, rather than Mark Teixeira. Cano only has 19 at-bats in the three-hole in his regular-season career. Even more surprisingly, just 12.5 percent of his career at-bats have come from any of the top four spots. That’s not the number you would expect from a leading MVP candidate this year. He was undeniably the best hitter for the Yankees in 2010. That reason alone could convince some people to switch him with Teixeira. Some people have argued a higher OBP is necessary to hit third. Well, in 2010 Cano reached base 38.1 percent of the time compared to Teixeira’s 36.5 percent. As Tom Moccia put it on Twitter, “If it ain’t broke don’t fix it.” That’s absolutely a valid point. The Yankees led the league in runs scored last year, and Teixeira hitting third in 157 games definitely factored into that. I think this will be one of the questions Joe Girardi will answer in spring training. As always with spring training, the decision won’t be based on stats; it will be judged by the quality of Cano’s at-bats, his feedback and Kevin Long’s opinion. I’ll predict now Cano and Teixeira will swap places for 2011. However, one big free agent signing could change my opinion. Next poll: Should the Yankees invest in a full-time DH?